According to The Guardian, “the world would never be the same again” after 1968. A series of dramatic events marks this year in history: the student protests across the West, the Vietnam War, or the assassinations of prominent figures such as Martin Luther King Jr. and Robert Kennedy in the United States. In Eastern Europe, the Warsaw Pact troops invaded Czechoslovakia and crushed the Prague Spring, ending an attempt to reform socialism. Tracing how these events were presented at the time in newsreels in different countries provides a unique vantage point for comparing the political functions of newsreels under different political regimes and, simultaneously, for interpreting the fundamental characteristics of those regimes. Socialist states in particular saw and utilized the medium of newsreels as strategic propaganda tools, which, viewed from today’s perspective, offer valuable insight into the complexities of these regimes and their ideologies. This paper explores the construction of different forms of alterity present in the newsreels produced in communist  Bulgaria in 1968 as part of the socialist propaganda apparatus. The analysis focuses on the forms of alterity reflecting the underlying opposition in ideology and ways of life in the socialist and capitalist countries, the East and West, typically presented as an opposition between Us and Them. In this first section of the paper, I introduce the main concepts and research topics: the functions of newsreels and the concept of alterity. In the second section, I outline the historical context and emergence of the newsreels in question, tracing the model for newsreels (kinopregledi) in Bulgaria to the Soviet kinohroniki. In the third section, I delve into the issues of alterity in the Bulgarian newsreels to identify the specificities of Us, as well as the construction of three distinct forms of the Other: The Radical Other, the Other as a business partner, and the Neutral Other. I present and analyze each form, supplemented by careful illustration of key cinematographic elements from selected newsreels. Both McKernan and Vande Winkel examine the mutable functions of newsreels, changing with the specific national context and political regime. McKernan, for example, primarily explores the informative aspect of newsreels. He compares newsreels with newspapers, arguing that the latter are a more complex medium. Unlike newsreels, newspapers give readers the freedom to choose how to consume information: which newspapers to read, what type of news, when and where to read it. Citing Kevin G. Barnhurt and John Nerone, he notes the fact that newspapers are an expression of civic culture in democratic regimes, unlike newsreels, which “had no such roots in civic expectations.” He claims newsreels emerged not as a consequence of particular civic, economic or even cinematic demands, but rather as an entertaining news-like segment of the evening program,  which after the Second World War was even used for advertising. It must be recognized, however, that McKernan focuses only on politically free, democratic regimes, where cinemas are privately owned and there are multiple private producers of newsreels. Both the UNESCO report and Vande Winkel underline that in the Soviet Union and in the Soviet-era communist countries, the state both monopolized the production and distribution of newsreels and mandated their screening in all cinemas prior to the feature film. In these countries, it is clear that the primarily function of newsreels was propagandistic. For these reasons, my own analysis of communist-era Bulgarian newsreels will focus on their use for propaganda purposes, and perhaps provide some insight into their use in other communist regimes as well. In this paper, I view the newsreels as a mediator between the communist state and the people. The state, as I aim to illustrate, uses the newsreels as an instrument of power for the categorization of different social groups, in line with the communist party directives. “Categorization” here is understood as defined by Francis Cooper and Rogers Brubaker,  namely, as “formalized, codified, objectified systems […] developed by powerful, authoritative institutions”  aiming to “pack” together people who could, but also could not experience any form of mutual solidarity and belonging. Cooper and Brubaker remark that “external categorization and self-understanding objective commonality and subjective groupness” should be kept separate. The former is an instrument of power, while the latter refers to a subjectively developed sense of belonging. Against this background, my analysis is focused on the ways in which newsreels construct the image(s) of the Other and the opposition between Us and the Other. I pursue several interrelated questions: is the Other presented only as an enemy, as the simple dichotomy suggests, or are there different Others? If indeed the newsreels construct different Others, what are their main characteristics? How do the Others relate to Us? And how do they represent Our identity? Do they project an image of a monolithic or of a multifaceted Us as well? In short, I seek to explore the specificities of the oppositions constructed by newsreels in communist Bulgaria: whether they feature a simple dichotomy of Us versus Them, or whether they construct more complex categorizations of different Others and an encompassing Us. Here one can clearly discern the political tactics in positioning the newsreels. The feature film only serves as bait to lure the people, passive objects of communist enlightenment, into the movie theater. There, an important inversion takes place: the film plays a secondary role and the short newsreel, allegedly just an add-on, carries the main message. This scheme in itself is the cheapest and most comprehensive means of accomplishing the political ‘enlightenment,’ the ideological manipulation, of the masses. The purpose of the socialist newsreels is to delimit the fiction of cinema from the politically constructed reality. ‘Reality’ takes primacy over art. The newsreel restrains and disciplines the spectator’s vision in the era of mass culture. So while the Soviet newsreels did inform the public by presenting news, they had nothing in common with the newspapers that emerged in Western Europe as part of the public sphere. In the West, Habermas argues, “The press remained an institution of the public itself, effective in the manner of a mediator and institution of public discussion.”  As the UNESCO global report ascertains, however, there was neither publicity, nor a public sphere in the Soviet state. Thus, newsreels became purely a tool of communist power. Before the mass adoption of Soviet propaganda in communist Bulgaria, relatively little is known  about the beginnings of newsreels (kinopregledi) in the country, as no copies of the earliest productions survive. Between 1941 and 1944, a total of 125 ‘pre-socialist’ newsreels were produced, commissioned by the Ministry of Propaganda  and created by the Bulgarian Cause Foundation (Българско дело — Balgarsko delo, an arm of the Ministry of Propaganda). The date September 9, 1944, marks the Soviet Army invasion of Bulgaria and the beginning of the so-called ‘Socialist Revolution.’ The first ‘socialist’ newsreel was issued only twenty days after the revolution, on October 5, 1944, then renamed to Fatherland Newsreel. The Ministry of Propaganda (which became the Ministry of Information and Arts a year later) controlled and censored the activity of the Bulgarian Cause Foundation. Staff members accused as “persons guilty of fascist activities” were expelled. The Foundation’s new task was to become an “active helper of the new power in the fulfilment of its ideological and political program among the people by means of culture and propaganda of image.”  For Bulgaria’s then still privately owned cinemas, refusal to project the mandatory newsreels was considered sabotage. It was a priority that the new events following the revolution be presented, in order to “shape the public opinion” and “inculcate good citizenship.”  In 1948, the Bulgarian Cause Foundation was dissolved and its functions were transferred to a newly established state enterprise, Bulgarian Cinematography. The agenda of newsreels in communist Bulgaria mirrors the Soviet model, as the propaganda apparatus follows Soviet prescriptions. Newsreels served the same political and ideological purpose from the early days of socialism until the socio-political turning point after 1989. In what follows, I examine in more detail how the technologies of this cinematographic genre became part and parcel of the tactics of socialist power. My analysis comprises 53 weekly newsreels from the year 1968; each of them is a ten-minute summary of the most significant news items from the past week, shown in cinemas before each projection. The contents of the newsreels vary, but they were generally intended as panoramas of current social life. They were, in effect, a viewer’s visual digest of the week, presenting a montage of local and international news, culture reviews, images of daily socialist life, and curious facts — for example, a Ukrainian girl taking care of a stork with a broken leg (newsreel no. 30), a tour through a hunting reserve in South Africa (no. 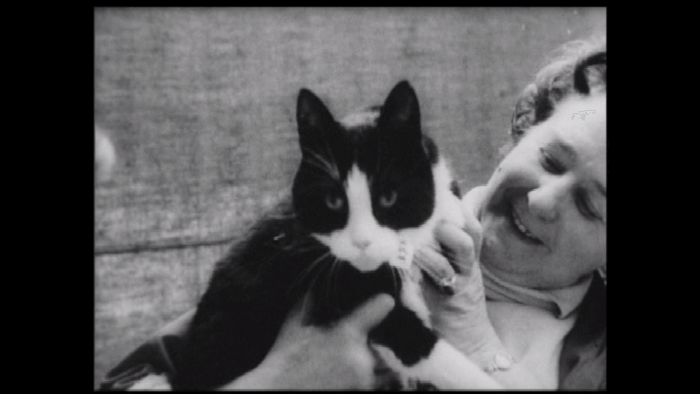 37), or visits to an exposition of pet cats in Paris (no. 37). In this respect, Bulgarian newsreels differed from the Soviet type, which typically focused on a single topic. An exception is during the Ninth World Youth Festival held in Sofia in August 1968: Here, a series of newsreels were produced, each featuring a different aspect of the event. On the surface, the news content in the newsreels was objective and accurately conveyed; in reality, it was carefully orchestrated and selected to fit ideological premises. There is extensive coverage of some events, like the students’ protests in the West and the assassination of Martin Luther King Jr.,  while others are omitted completely, like the Prague Spring and the invasion of Czechoslovakia by the Warsaw Pact troops (where Bulgarian soldiers were also deployed). The striking impression is one of peace and prosperity reigning all over the East, while turmoil and rebellion are troubling the West. This selectivity in representation already points to the central and permanent opposition in the newsreels from 1968, between socialist and capitalist countries. In this context, the constructed image of Us transcends the local scene and comes to encompass all the progressive people in the world. The representations of the Other are also more complex and multilayered; discernible are several types of Neutral Others distinct from the Radical Other, or the Enemy in the face of American imperialism and neo-fascism in general. The category of Us is established as a hierarchy of several groups, arranged and interacting according to their closeness to the communist ideal. At the top are the Soviet working people, namely the Soviet Communists, who are not only building the new world, but who have almost attained it. Just below them are the real Us, Bulgarian working people and Bulgarian communists, who are also building socialism under the leadership and guidance of their Soviet comrades. These two groups can be labeled the builders of socialism. The third group in the hierarchy, which approximates the ideal, but is distinct from the group of the builders, can be called progressive people, fighters for peace, typically presented as anti-fascists. In the next section, I describe these groups and the images used to represent them in the newsreels. Nearly every newsreel portrays either the construction of a new factory or laboring people in a factory. It is occasionally a Soviet factory, but in most cases a Bulgarian one. All workers are smiling, visibly happy with their work. 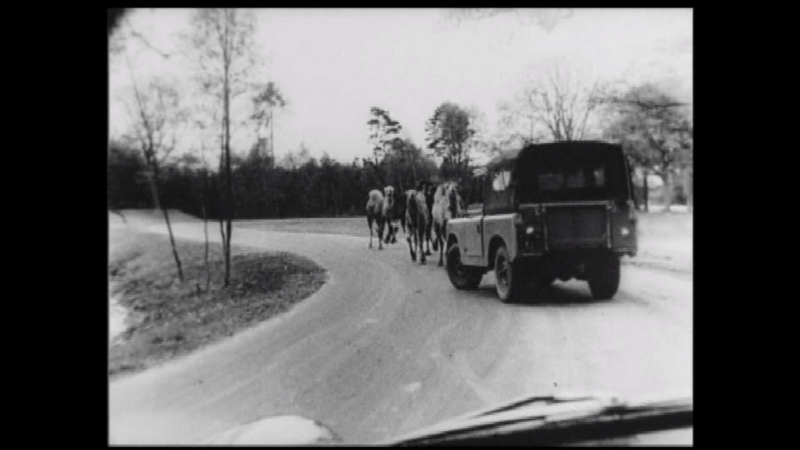 A few examples of newsreels from the first half of the year: In newsreel no. 4, the audience watches coverage of the Soviet Nizhny Tagil Metallurgical Plant; in no. 5, the unveiling ceremony of a new home improvement plant (kombinat za bitovi uslugi);  in no. 6, State Industrial Company V. Ivanov. In newsreel no. 7, the voiceover announces: “A new electronics plant is built,”  followed by a shot of the plant. Similar treatments appear in no. 11: smiling workers from Elprom Plant in Varna; no. 12 shows the Petrochemical plant in Burgas, then Soviet professionals helping Bulgarian workers in the metallurgical plant Kremikovtzi; no. 16 features Radka Koleva, a poultry breeder, awarded with a labor medal, in a new poultry farm; no. 18: coverage of the state farm Lenin in Varna and the unveiling of the new machinery plant Metallik; no. 24: experimental exploitation of the chemical plant near the city of Vratza. And so on and so forth. 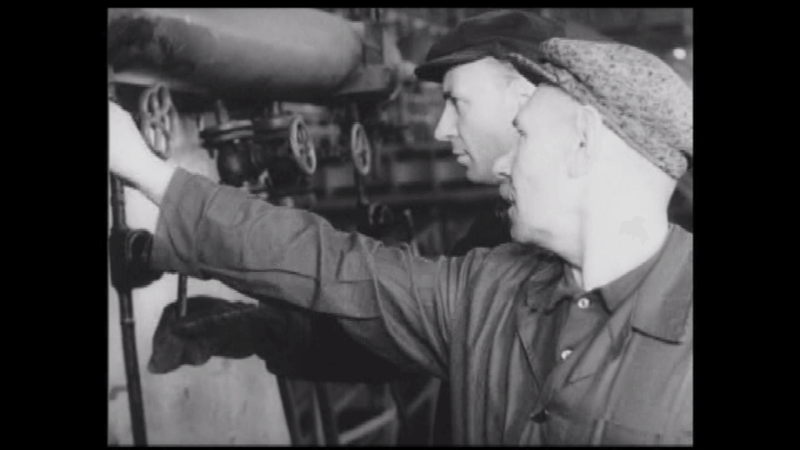 Out of the 53 newsreels, 39 depict factories and workers; this accounts for nearly 75 percent of all the newsreels produced in 1968. The next sequence shows the largest Bulgarian metallurgical plant, Kremikovtzi. The narrator explains: “You will find Soviet specialists in the Kremikovtzi metallurgic plant. Their number rose to 200 people. Andrei Aleksandrovich Sudarikov has taken part in the construction of the Brucat departments.”  The scene focuses on a Russian worker in cap, pointing something out to his Bulgarian colleagues (Fig. 1). This sequence described above deserves special comment as it introduces Our “common Slavic descent,” a motif that appears throughout the Bulgarian newsreels of 1968. A shared Slavic origin plays a key role in constructing the communist Us. This group identity serves three purposes at once: first, to exalt the Soviet communists among all of Us, without demeaning all others; second, to distinguish Bulgarians and Soviets among all of Us by implying that communism comes more naturally to some of Us; third, to historicize and naturalize the advent of the communist regime for the Bulgarian audience, by codifying the notion that communism comes naturally to Us to begin with. The ideological line reflected here is rooted in the shared Slavic descent, the common Cyrillic script, and the common history of the Russians and Bulgarians, especially the dual liberation of Bulgaria by the Russians — once in the 19th century from the Turks, and again in 1944 from the fascists and capitalists. The common Orthodox Church is of course another basis for this special relationship, although at the time religion is ideologically rejected. Instead, We are connected by a much stronger bond, by blood. Once this logic expands, it leads to the conclusion that, if the Russians were the first to establish a real communist state, then the Bulgarians should be the second to do so. We are natural-born communists. The ideological pre-eminence of the Soviet man is also evident in newsreel no. 18. It shows an oil drill as the narrator explains: “The construction of the oil drill near the village of Shabla is headed by the Soviet specialist Hannogal Bajramov, a hero of socialist labor.”  The hierarchy is manifest: All of Us are working people, builders of socialism, but the norm is set by the Soviet man, who guides his Bulgarian comrades. He is Our elder brother and role model setting the normative example. We, the Bulgarians, are following the bright guiding light of the Soviet comrades. These recurrent features of the newsreels are meant to convince the audience that We share the Enlightenment values, We are civilized people. Even in Novosibirsk, We are the embodiment of Civilization. This identification is paramount to constructing a positive image of Us in opposition to barbarian American imperialism. The announcer never fails to credit these achievements to the good guidance of the Party. Party leaders are present in every newsreel, pictured being received with ovations everywhere and welcomed with bread and salt (an ancient Slavic custom). Under the careful gaze of the Party, the achievements of socialism are preordained; consequently, they must receive mention. They are presented as a result of the social unity of the laboring people: workers, women, youth, Pioneers, Comsomol members, and students, in every case led and guided by the Party leaders and the Soviet experts, who are Our head, Our super-ego. Another enforcer of unity at the time were mass collective festivities. These were tokens of nation-wide unity and support for the communist party’s policy. A central place in this period is given to the 1968 Ninth International Youth Festival, presented in newsreels no. 31, 32, and 33. Many of the festival’s events and symbols constitute core elements of the political aesthetics of socialist festivity. Some of these include the festival’s slogans, Peace, Friendship, and Solidarity and Youth, Peace, and Fruitfulness; collective gymnastics exercises, the demonstrative mass enthusiasm, the mutual greetings between people, and the presence of guests from all over the world alongside Party leaders. Participation in these ritualized events shows the collective international progressive powers ready to participate in the construction of socialism, just as ready as they are to counter capitalist aggression and the capitalist way of life. The Youth Festival is a demonstration of Us, builders of socialism, as inherent guardians and fighters for peace, against the American imperialists and fascists. The ‘fighters for peace’ have more than one face. Besides Bulgarians and Soviet comrades and brothers, these are West German students — anti-fascists who are against the resurgence of fascism in Germany (newsreels no. 11, 19, 21, 26, 44), young people from London who struggle for peace (newsreel no. 21), Parisian leftist students and intellectuals (newsreel no. 21 and 26), Japanese protestors shouting “NATO Out” and “No to the War”  (newsreel no. 7). These images of young protestors, who want peace and struggle against fascism, portray the diversity of members in the encompassing Us. The newsreels unite a continuum of otherwise disparate groups — from Siberia, Bulgaria, Western Europe to Japan, Vietnam and the United States, defending one and the same set of values. These are all the people fighting against a common Enemy: American racism and imperialism, NATO, rising fascism. Thus, the viewer witnesses the construction of a unified, encompassing Us in the newsreels of 1968, in line with the agenda of communist internationalism. We are the fighters for peace, equality, and solidarity, up against the Radical Other — imperialism and neo-fascism in Europe. Employing both images and language, like the repetition of the words “united,” “brotherly,” and “solidarity,” the newsreels enshrine the greater cause of socialism in a feeling of communal empowerment. The coverage of the Ninth World Youth Festival in August in Sofia follows the same We-line (above); the youth from 145 countries is united against the war in Vietnam, American imperialism, and German (but not only) neo-fascism. The builders of socialism are the nucleus of the growing majority of all the progressive and anti-fascist fighters for peace, who are opposing the Radical Other. The Radical Other constructed in the 1968 newsreels comes to embody the total ideological and existential opposite of Us in all its defining features. The Radical Other is American imperialism and German neo-fascism — the heir of Nazism. I consider two images of the Radical Other, that of the imperialist attacker and that of the Western police. They are not depicted in detail, but rather come to suggest the immanence of aggression in the capitalist state. Even though the term ‘Cold War’ is not used in the 1968 newsreels, its shadow always looms in the form of the hot war in Vietnam. American imperialism is presented indirectly through depictions of opposition against its “barbaric” and “aggressive” actions in Vietnam: anti-war protests and support for Vietnam (newsreels no. 4, 7, 11, 21, 22, 23, 46); a focus on learning and working Vietnamese children and youth (newsreels no. 3, 30), and depictions of the Vietnamese soldiers themselves (newsreels no. 6, 7, 13). Newsreel no. 11 is an indicative example. It begins with a declaration against the Vietnam War and the “Criminal Aggression of the American Imperialists,”  voted in the National Assembly of the People’s Republic of Bulgaria. Two other news pieces follow, after which retrospective scenes of the “Nazi invaders” and the WWII siege of Sevastopol appear, closing with the proclamation that the Soviet Army has defeated the “enemy fleet.” Immediately, the viewer is transferred to the Federal Republic of Germany (FRG), with frames showing protesting youth carrying posters of Che Guevara, and the voiceover condemning the “barbaric war of American imperialism in fraternal Vietnam.”  The narration continues that the government of the FRG supports the war, but the West German youth is Our ally against it. The two juxtaposed sequences group together an enemy axis and suggest that the American imperialists are heirs to the “Nazi invaders,”  but that they will inevitably suffer a loss, as the Nazi army was crushed by the Soviets. Warfare is rarely displayed, except for three sequences showing an offensive of Vietnamese fighters (newsreels no. 6, 7, 13). There are no US soldiers or generals. In contrast, the faces of the people resisting the war in Vietnam are shown clearly, for instance Dr. Benjamin Spock  (newsreel no. 7) and the protesters (no. 21 and others). The Enemy is represented and condemned through the narrator’s script by the repetition of phrases such as “criminal aggression,” “barbarous war” (no. 11),  “American barbarians” (no. 24),  “barbaric attacks on Vietnam” (no. 30),  etc. The second generalized image of the Radical Other is that of the police, again represented in opposition to the anti-fascist students and ‘fighters for peace.’ The Western police uses “fascist” tactics to expel protesters: spraying them with water cannons, arresting them, dragging them on the ground. Throughout the newsreels, the presentation, description, and imagery of the Radical Other is kept abstract and generalized. The Radical Other is a vague, persistent threat whose anonymity is all the more intimidating. There are two exceptions to this generalized image. The first one is the presentation of John F. Kennedy’s, Martin Luther King Jr.’s, and Robert Kennedy’s assassinations as mutually connected in a special, extended-length rubric called “Focus” from newsreel 24 from June 1968. It begins with frames of the three murders, and then the camera pauses on a newspaper photo of the District Attorney Jim Garrison, the main investigator into John F. Kennedy’s death. The depiction of DA Garrison is the personal representation of the evil, of the Radical Other, the conspirator, the person “who knows who killed Kennedy.” The narration continues with, “One Kennedy shot in LA, one in Dallas, and between them, Martin Luther King. Pray before you get shot,”  and the sequence ends with loud sounds of gunfire. 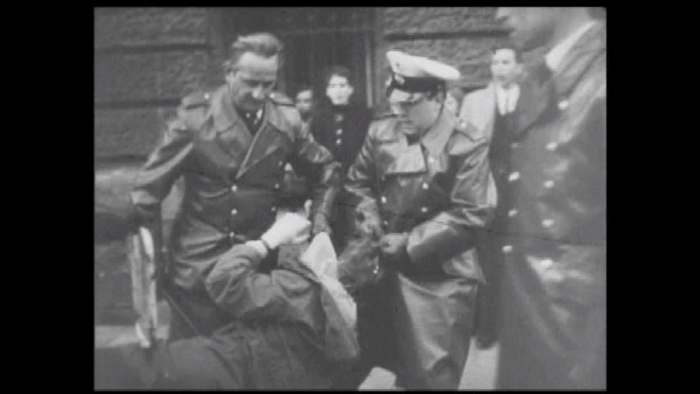 The second exception is the focus in newsreels 44 and 52 on the “neo-fascist Führer” Adolf von Thadden  and his National Democratic Party in West Germany; both newsreels show von Thadden and young people protesting against neo-Nazism. The focus on him aims to highlight the connection with Nazism. “Hitlerite hordes” are depicted several times in the newsreels, always in the context of their defeat by the Soviet Army (no. 5, 11, 15, 35, 47). Ties between the Radical Other (American imperialism and German neo-fascism) and Nazism are constantly established. There is a clear declaration in newsreel no. 21 that “the revival of fascism has to be stopped.”  These suggestions further enhance the heroic halo of Us. А recent study shows that, by 1969, Bulgaria had the highest number of state-owned Foreign Trade Companies of any socialist republic. These were communist state-owned capitalist enterprises working to buy as much internationally convertible currency as possible (e.g. US dollars or Swiss francs) in response to Western economic sanctions, and often served in some measure as trade proxies for the USSR. With over 88 companies, Bulgaria was expanding a network of capitalist enterprises all around the world; for comparison, the USSR had only 27, the GDR twelve, and Czechoslovakia 50. Economically as well as ideologically, the People’s Republic of Bulgaria was and is still regarded as one of the Soviet Union’s most loyal satellites. Throughout the year, France is constructed as a friend, not necessarily belonging to Us, but nonetheless with an influential communist party and youth fighting on the streets of Paris for the same communist values. Perhaps part of the explanation is simply that most countries with communist parties and strongholds, such as France, Italy, and Greece, were perceived as relatively closer to the Bulgarian socialist. It is indisputable that the Bulgarian and (most importantly) Soviet elites found such countries more favorable. However, the sudden advertising of France is decided by something else entirely: Namely, the Bulgarian Foreign Trade Companies had in 1966 signed a groundbreaking deal with Renault to produce the so-called Bulgarrenault. In 1968, when the appreciation of French appreciation was appearing on Bulgarian cinema screens, car production was at its peak. Once familiar with this propaganda logic of constructing closeness and remoteness, the representation of certain African countries trading with Bulgaria becomes unambiguous. Bulgaria–Tunisia relations, for instance, are represented in three newsreels. The first one (no. 15, March), shot in Tunisia by a Bulgarian cameraman, shows the president of the Republic of Côte d’Ivoire visiting a newly built stadium designed and constructed by Bulgarians. The sequence is essentially an advertisement of the work of Bulgarian architects and engineers. The second and third ones (no. 27 and no. 28, July 1968) showcase the state visit of the Tunisian president, Habib Burgiba, in Bulgaria, welcomed by the Bulgarian Party leader Todor Zhivkov. Newsreels Nos. 5 and 24 feature the state visits of other high-ranking African officials from Guinea and the Republic of Congo related to signing trade agreements. In all these cases, the difference between Our lifestyle and that in France, Tunisia, Guinea, etc. is evident, but these countries are depicted as business partners and potential friends. They are not like Us, but they are not opposite to Us. Compared to the extremes of the heroic portrayal of the international socialist movement and the dire threat posed by the imperialist and fascist enemies, these are images of an ostensibly Neutral Other. However, they construct the Other world in very specific ways through cues for the audience’s interpretation. The first way is through more or less explicit rejection of the Other. By ridiculing the folly of Dutch women (Fig. 4), for example, the narrator literally dictates the public’s disregard for what this world represents — it is impossibly naïve, superficial, consumerist, and effeminate. The second, more implicit construction of the Other is through its complete erasure. This is demonstrated in the sequences about Kruger National Park (Fig. 5), where no humans are present — neither silly bourgeois Dutch women nor imperialist Americans, certainly no impoverished South Africans. Reduced to leopards, elephants, and other exotic creatures, South Africa is Othered as a place of nature, belonging neither to Our civilized modern world, where the socialist man harnesses nature, nor to the world of the Radical Other, full of fascists, capitalists, and imperialists. Just as before, the Neutral Other is developed into a hidden propaganda tool. In essence, the audience is led to believe that this Other resembles the prisoners in Plato’s Allegory of the Cave: just as Plato casts shadows on a cave wall, the Communist party projects cat contests, fashion shows, and ‘primitive’ landscapes on a movie screen. The ‘actual’ world asserted by the newsreels is that of the audience, that of the creative socialist man, that of the ever-bright communist future ‘out in the sun.’ So, the Bulgarian communist regime patronizingly grants existence to this pointless, feminine, animalistic Other world, using it as a foil for Our own. It is perceived by the authorities, and marketed to the public, as not aggressive enough, just superficial, somewhat sweet and vain. Yet, juxtaposed with the two worlds of socialist progress (Us) and imperialist danger (Them), this Other world remains usefully void of meaning. A neutral Other world is above all a non-alternative, a fact that further dramatizes the dichotomy between Us and Them. 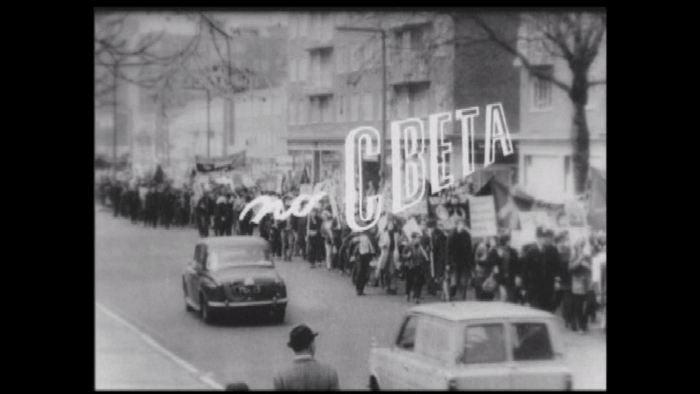 The newsreels from 1968 communist Bulgaria offer much more than meets the eye. Conceptually, they cannot be reduced to typical Cold War propaganda clichés, nor can they be regarded as one among the many kinds of socialist works of art, or simply as visualized news. The kinopregledi present a multifaceted portrayal of socialist Bulgaria, ranging from the daily work of ordinary people to the complex ideological exchange between political and social rivals on the home or international stage. However, their seemingly factual style and content render them a successful propaganda tool used by the state to inculcate a specific worldview and forge the public opinion. A thorough audio-visual analysis of the selected newsreels demonstrates clearly how their informative function was subsumed under the ideology of a political regime. Thus, newsreels reflect to the highest degree the potential of politics to employ the power of cinema for its aims. The newsreels’ content presupposes the primary ideological opposition between the socialist and capitalist worldviews, maintaining and developing the fundamental dichotomy of Us versus Them. Yet, a more complex structure of alterity emerges as an inflection in this dichotomy. The study introduces new distinctions within the paradigm: an ideologically borne, inherently self-othering Us; the Encompassing Us, an extended but distinct form of Us constructed through interactions with the Radical Other; and multiple different categorizations of Others evolving from the political, economic, and cultural scaffolding of the core communist ideology. The 1968 newsreels stage intricate visual interpretations of this fundamental opposition, between Us, ‘the builders of socialism,’ ‘fighters for peace,’ ‘civilized people,’ and Them, ‘the imperialists,’ ‘fascists,’ ‘barbarians.’ Capturing these dynamics, the kinopregledi of 1968 draw the viewers into the new course of history — their ultimate role to be a visual expression of the communist utopia. The insights gained from this study are an original contribution to the field of newsreel studies, and provide direction for further research on the mediation of social relations in communist and Eastern European countries from the era. Lyubomir Pozharliev. “Newsreels from 1968 Communist Bulgaria: The Encompassing Us vs. the Different Them.” On_Culture: The Open Journal for the Study of Culture 4 (2017). <http://geb.uni-giessen.de/geb/volltexte/2017/13390/>. “The Year That Changed History,” in The Guardian, January 25, 2008, accessed July 4, 2017, <http://www.guardian.co.uk/observer/gallery/2008/jan/17/1#/?picture=332108981&index=13>. The usage of the terms “communist” or “socialist” to describe the states and societies from the Eastern Bloc is still problematic. The consensus between German and Bulgarian historians is “state socialism.” I share Ulf Brunbauer’s view that the societies could be described with more neutral terms, but as I am referring primarily to the political regime, I use the predicate “communist.” See Ulf Brunnbauer, “Die sozialistische Lebensweise:” Ideologie, Gesellschaft, Familie und Politik in Bulgarien (1944–1989) (Vienna: Böhlau Verlag, 2007). See Roel Vande Winkel, “Newsreel Series: World Overview,” in Encyclopedia of the Documentary Film, ed. Ian Aitken (New York/London: Routledge, 2006), 985–991; Luke McKernan, “Newsreels: Form and Function,” in Using Visual Evidence, eds. Richard Howells and Robert Matson (New York: Open University Press, 2009), 95–106. Vande Winkel, “Newsreel Series,” 985. Peter Baechlin and Maurice Muller-Strauss, eds., Newsreels Across the World (Paris: UNESCO, 1952), 7. Vande Winkel, “Newsreel Series,” 990. Ansgar Nünning, “Alterity,” in Grundbegriffe der Kulturtheorie und Kulturwissenschaften, ed. id. (Stuttgart: J. B. Metzler Verlag, 2005), 1–2. See Nira Yuval-Davis, “Theorizing Identity: Beyond the ‘Us’ and ‘Them’ Dichotomy,” in Patterns of Prejudice 44.3 (2010), 261–280, <http://dx.doi.org/10.1080/0031322X.2010.489736>. Although more recent work is deconstructing the bipolarity of the Cold War, this framework is suitable for the analysis. See Francis Cooper and Rogers Brubaker, “Identity,” in Colonialism in Question: Theory, Knowledge, History (Berkeley: University of California Press, 2005). See Анатолий Луначарски, “Воспоменания,” В Советское кино 1–2 (1933), 10 [Anatoly Lunacharsky, “Memories,” in Sovietskoe kino 1.2 (1933), 10]; my transliteration. See Nicholas Reeves, “Film Propaganda in the Soviet Union, 1917–1929,” in The Power of Film Propaganda: Myth or Reality? (London: Cassell, 1999), 43–78. See Peter Kenez, “The Soviet Concept of Propaganda,” in The Birth of the Propaganda State: Soviet Methods of Mass Mobilization, 1917–1929 (Cambridge: Cambridge University Press, 1985), 1–18. Then Head of People’s Commissariat of Enlightenment, responsible for culture and education in the Soviet government. See Jürgen Habermas, “The Public Sphere: An Encyclopedia Article,” in Critical Theory and Society: A Reader, eds. Stephen Eric Bronner and Douglas MacKay Kellner (New York: Routledge, 1989), 136–142. Петър Карджилов, Първият кинопреглед е бил военен, Вестник ‘Българска армия,’ 2011 [Petar Kardzhilov, “The First Newsreel Was Military,” in Bulgarian Army Newspaper (2011), 3]; my transliteration. See also Mariana Piskova, “The Image of the Russo-Ottoman War of 1877–1878 in Bulgarian Weekly Newsreels (1941–1980),” accessed April 15, 2017, <https://www.researchgate.net/publication/316254500_The_Image_of_the_Russo-Ottoman_War_of_1877–1878_in_Bulgarian_weekly_newsreels_1941–1980>. Лиляна Деянова, “Националното минало и ‘големият декор.’ ” В Социологически проблеми 1–2 (2005), 34–53, тук: 37 [Lilyana Deyanova, “National Past and the ‘Theatrical Public Space,’” Sociological Problems 1–2 (2005), 34–53, here: 37. See Deyanova, “National Past and the ‘Theatrical Public Space,’” 37. On the representation of Martin Luther King’s assassination in the Bulgarian newsreels of 1968, see Lyubomir Pozharliev and Danae Gallo González, “Martin Luther King’s Assassination in Spain’s NO-DOs and in Bulgaria’s Kinopregledi,” in Researching Newsreels: Local, National and Transnational Case Studies, eds. Ciara Chambers, Math Jönsson, and Roel Vande Winkel (Basingstoke: Palgrave Macmillan, forthcoming 2018). All English translations are mine. Кинопреглед 7, Преглед 7, Февруари 1968 [Newsreels 7, Item 7, February 1968]; my translation. The analysis of all Bulgarian newsreels quoted in this article is based on the author’s numerous visits to the Bulgarian National Film Archive in Sofia. All quoted original newsreels’ items and their respective archival descriptions are fully available only there. A representative and rich audiovisual collection from 1968 can be found in the website <http://1968bg.com/>. Кинопреглед 12, Преглед 4, Март 1968 [Newsreels 12, Item 4, March 1968]; my translation. Кинопреглед 12, Преглед 5, Март 1968 [Newsreels 12, Item 5, March 1968]; my translation. Newsreels 12, Item 5, 01´:31´´, last accessed July 13, 2017 <http://1968bg.com/index.php?option=com_content&task=blogcategory&id=7&Itemid=15>. Кинопреглед 18, Преглед 5, Май 1968 [Newsreels 18, Item 5, May 1968]; my translation. Кинопреглед 37, Преглед 6, Септември 1968 [Newsreels 37, Item 6, September 1968]; my translation. Кинопреглед 7, Преглед 3, Февруари 1968 [Newsreels 7, Item 3, February 1968]; my translation. Кинопреглед 21, Преглед 6, Май 1968 [Newsreels 18, Item 6, May 1968]; my translation. Newsreels 21, Item 6, 00´:01´´, last accessed July 13, 2017, <http://1968bg.com/index.php?option=com_content&task=blogcategory&id=7&Itemid=15>. Newsreels 21, Item 6, 00´:50´´, last accessed July 14, 2014 <https://www.vbox7.com/play:5633>. Кинопреглед 35, Преглед 1, Август 1968 [Newsreels 35, Item 1, May 1968]; my translation. Кинопреглед 39, Преглед 1, Септември 1968 [Newsreels 39, Item 1, September 1968], accessible at <http://1968bg.com/index.php?option=com_content&task=blogcategory&id=7&Itemid=15>; my translation. Кинопреглед 11, Преглед 1, Март 1968 [Newsreels 11, Item 1, March 1968]; my translation. Кинопреглед 11, Преглед 8, Март 1968 [Newsreels 11, Item 8, March 1968]; my translation. Famous pediatrician, author, and Olympic gold medalist in rowing, prominent activist in the New Left and against the Vietnam War. Кинопреглед 24, Преглед 10 рубрика Фокус, Юни 1968 [Newsreels 24, Item 10, “Focus” rubric, June 1968]; my translation. Кинопреглед 30, Преглед 2, Юли 1968 [Newsreels 30, Item 2, July 1968]; my translation. Кинопреглед 52, Преглед 1, Декември 1968 [Newsreels 52, Item 1, December 1968]; my translation. Кинопреглед 21, Преглед 6, Май 1968 [Newsreels 21, Item 6, May 1968]; my translation. Христо Христов. Империята на задграничните фирми (София, CIELA, ИИБМ, 2009), 31 [Hristo Hristov, The Empire of Overseas Companies (Sofia: CIELA, IIBM, 2009), 31]; my translation. Кинопреглед 47, Преглед 8, Ноември 1968 [Newsreels 47, Item 8, November 1968]; my translation. Кинопреглед 37, Преглед 7, Септември 1968 [Newsreels 37, Item 7, September 1968]; my translation. Кинопреглед 37, Преглед 8, Септември 1968 [Newsreels 37, Item 8, September 1968]; my translation. Кинопреглед 37, Преглед 9, Септември 1968 [Newsreels 37, Item 9, September 1968]; my translation. Newsreels 37, Item 8, 00´:17´´, last accessed July 14, 2014 <https://www.vbox7.com/play:4369>. Newsreels 37, Item 9, 00´:23´´, last accessed July 14, 2014 <https://www.vbox7.com/play:6787>.